Please take urgent action against regulatory changes to the ESA. Your submission must be received by 11:59 pm EDT on September 24th. Should you prefer to not read this post, please Click here or scroll down towards the bottom where you will find a sample comment that you may utilize as is, or personalize. You will also find a link for commenting. Please take action: Defend the Endangered Species Act. On December 28, 1973, the United States made a historic commitment. On that day, President Richard Nixon signed into law the Endangered Species Act (ESA), a bipartisan declaration that we would do our absolute best to conserve the nation’s rich diversity of wildlife no matter how seemingly insignificant. Thanks to the now 40-year-old ESA we can see success in icons of the wildlife world: Bald eagles and peregrine falcons soar above; gray wolves prowl the Rocky Mountains, Great Lakes and Pacific Northwest; manatees grace the coastal waters of the Gulf and South Atlantic; wild salmon and steelhead continue their annual migratory rituals. Virtually every corner of our nation can take pride in being part of the recovery process sparked by the ESA. But it is also clear that back in 1973, the legislators understood Aldo Leopold’s admonishment that the essence of intelligent tinkering is to save all the pieces. And so, the ESA they wrote has also recovered lesser-known species like the Magazine Mountain shagreen snail, Tennessee purple coneflower, karner blue butterfly and Higgins eye pearlymussel. While the ESA often provides the spark, the future of imperiled wildlife depends more on us. If we want Canada lynx, if we want bull trout, if we want grizzlies or sage-grouse, then we have to make deliberate choices to make a place for them in the world. These choices will involve sacrifice. Humanity thrives on convenient slogans such as “win- win.” I wish it were that simple. It would make my job so much easier. We could have it all — development, timber, water, energy and the wildlife we love. Of course, as long as we’re dreaming, maybe we can bring back the passenger pigeon? We can, and do, work together with partners, developers, landowners and industries to find compromises that balance the needs of imperiled species and economic growth. But balance implies compromise, meaning both human, economic aspirations and species conservation goals give way. For those who feel economic growth is too important to compromise, it is far easier to blame something other than our own greed and ambition. They blame a law they call inflexible, unworkable and unreasonable — the ESA becomes a perfect scapegoat. But the ESA is not at fault. It is only a tool. When you are hammering a nail and an errant blow causes the nail to bend, it is more convenient to blame the hammer than to acknowledge the limits of the carpenter. We face many challenges in conserving biodiversity: a changing climate, habitat loss, habitat fragmentation, species invasion, wildlife trade, disease, water scarcity, pollution, overharvest and human indifference. The ESA is not a challenge. The ESA is a gift to the nation — an expression of our desire to conserve biodiversity, the health of the habitat and our willingness to work for it. For 40 years, it’s been a symbol of the U.S. commitment and leadership in conservation. We have seen it succeed and we have seen it fail. It has worked miracles, like restoring the California condor to western skies. But we have also seen the dusky seaside sparrow vanish from the landscape, the coastal marshes of Florida forever silent of their song. The James Hole pupfish and Delta smelt may be soon to follow. What I love about the ESA is this — it offers optimism and hope. Hope for the underdogs. It is the last barrier to extinction, and represents our collective commitment to protect our nation’s wildlife for the future. And the future will hold success and failure. The law will support both equally. The independent variable is our commitment as a nation. The Endangered Species Act, the last barrier to extinction, the most important law in the United States for conserving biodiversity, is under attack. Over the past two years there have been nearly 150 attempts to eviscerate, or even invalidate, this widely popular law. Attempts at weakening protections for species are not limited to congressional actions, but can also be the subject of rule changes, such as a change adopted in 2016 which redefined endangerment. In addition to a barrage of riders and stand alone legislation attempting to radically alter the ESA (including a nine bill ESA reform package, widely supported by the extractive industry), we are also faced with a proposed rule that threatens to dismantle the ESA, and weaken protections for threatened and endangered species. The new rule proposal is open for comment until 11:59 pm ET, September 24, 2018. Please take the time to voice your opposition to a plan that would scale back protections for species categorized as threatened and pave the way for the extraction industry to enter and exploit protected habitat. Whenever proposed rules are involved, remember that five hundred identical form letters, including petitions (and personalized petitions), can count as just one comment. What agencies are looking for is a “substantive comment” that clearly communicates and supports its claim. Below we offer several talking points for you to utilize when crafting your own comment. Again, submit your comment here. Since it’s passage, the Endangered Species Act has helped reverse and stop declines in numerous species, in fact, only 1 percent of species protected by the law have gone extinct. In spite of this success rate, fueled by greed and rapacity, the Endangered Species Act is on the chopping block. The proposed rule would alter how federal agencies implement the law by changing three key provisions; they would limit the authority of agencies to create critical habitat, create different conservation requirements for threatened and endangered species, and strip language that forbids agencies from considering the economic cost of conservation. • The proposals would potentially allow regulators to ignore the effects of climate change on species, and, rather than basing decisions solely on science, allow cost considerations to impinge their decisions — that means the financial gains of industries such as mining, gas or ranching could take precedence over the necessity of protecting critical habitat. • The rule changes would also drastically reduce the role scientists will have in identifying endangered or threatened species. The changes would allow the views of lawmakers to overrule research and science; financial interests of lawmakers, and the industries that support them, over the survival of a species. • The changes would deprive threatened species of automatic protection from “take” and commercial exploitation. The proposal would potentially limit wildlife experts access to review federal activities including those which may be hindering the recovery of species. Speak up! Defend the ESA. I submit this public comment to urge the US Fish and Wildlife Service (FWS) and the National Marine Fisheries Service (NMFS) not to implement its proposed policies under docket FWS-HQ-ES-2018-0006-0001, FWS-HQ-ES-2018-0007-0001, and FWS-HQ-ES-2018-0009-0001. For nearly 45 years the Endangered Species Act has served as a vital last line of defense for plants and animals on the verge of extinction. The law is effective with its current scientific basis and participatory decisionmaking, preventing the extinction of 99 percent of the species under its care. During a time when we are experiencing an extinction crisis of stunning proportion with species’ extinction happening at a rate at least 100 times greater than what would be considered normal, we should be working to strengthen, not weaken, the ESA. Despite scientists warning that we could lose half of all Earth’s species in as little as 33 years, the Department of Interior’s rulemakings, along with over 100 anti-ESA bills and amendments proposed this Congress alone, have put the ESA under unprecedented attack. 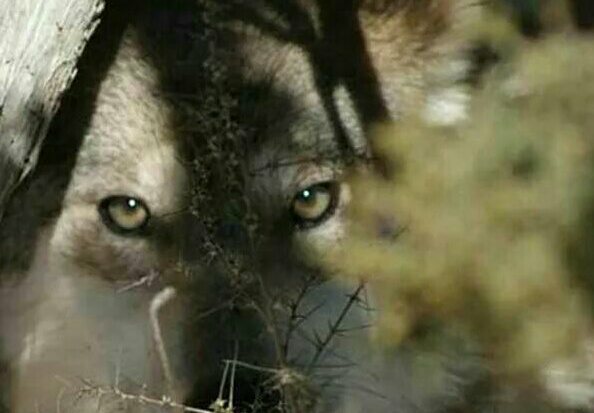 The ongoing attempts to eviscerate the Act go against the desires of the majority of Americans and would fast-track the decline of already imperiled species. In contempt of the law’s excellent track record, the FWS and NMFS are proposing changes that undercut the scientific basis for the Endangered Species Act and weaken the law’s effectiveness and integrity. The proposed changes would potentially allow regulators to ignore the effects of climate change on species, and, rather than basing decisions solely on science, allow cost considerations to impinge their decisions — that means the financial gains of industries such as mining, gas or ranching could take precedence over the necessity of protecting critical habitat. • The proposals would also drastically reduce the role scientists will have in identifying endangered or threatened species. The changes would allow the views of lawmakers to overrule research and science; financial interests of lawmakers, and the industries that support them, over the survival of a species. • The changes would let federal agencies off the hook for protecting species listed under the Act as long as their actions won’t speed up a species’ decline to extinction—the exact opposite of the standard set in the Act itself, which seeks to ensure that federal agency actions don’t undermine a species’ ability to survive and recover. These proposed changes are not only antithetical to the law’s legally mandated responsibility, but also would have a deleterious effect on the country’s well-being, safety, and sustainability. Protecting biodiversity is our responsibility, and each of us depends on the functioning natural ecosystems that make our lives possible. By gutting the agencies’s ability to administer the law free of political interference, we are putting our eco-systems, the lives of countless species at risk, and our ability to live on the land at significant danger. Again, I strongly urge the FWS and NMFS to not finalize the suggestions in docket FWS-HQ-ES-2018-0006-0001, FWS-HQ-ES-2018-0007-0001, and FWS-HQ-ES-2018-0009-0001. Grasshopper Sparrow. Of the Florida subspecies less than 200 remain. Strengthening the ESA, science-based decisionmaking, and properly funding the law will continue to help threatened and endangered species. Allowing endangered species the space they need and are entitled to, on the other hand, is dependent on your consumption habits and choices. Tap image below for more information on how America uses its land. On July 12, 2018, the Congressional Western Caucus introduced a group of nine bills that would significantly weaken the ESA. The bills claim to “modernize” the 40 year old law, but rather, they transfer excessive authority to state officials, undercut science-based listing processes, and impair citizens’ ability to enforce the law. You can help stop these and other abhorrent bills that would dismantle endangered species laws from moving forward by asking your senators to defend science-based safeguards like the Endangered Species Act. Send a second email to your senators via Endangered Species Coalition. If you are a scientist, add your name to this letter which underscores the principles that make the Endangered Species Act successful and urges members of Congress to reject any efforts to gut the law. Advancing Science in the Endangered Species Act: A Toolkit for Scientists – Tap image to download. The rule would also drastically reduce the role scientists will have in identifying endangered or threatened species. The changes would allow the views of lawmakers to overrule research and science; financial interests of lawmakers, and the industries that support them, over the survival of a species. Thank you very much, Diane! Please spare the wolves they are beautiful creatures and need their space just like we do. Would you shot your dog? They are related! 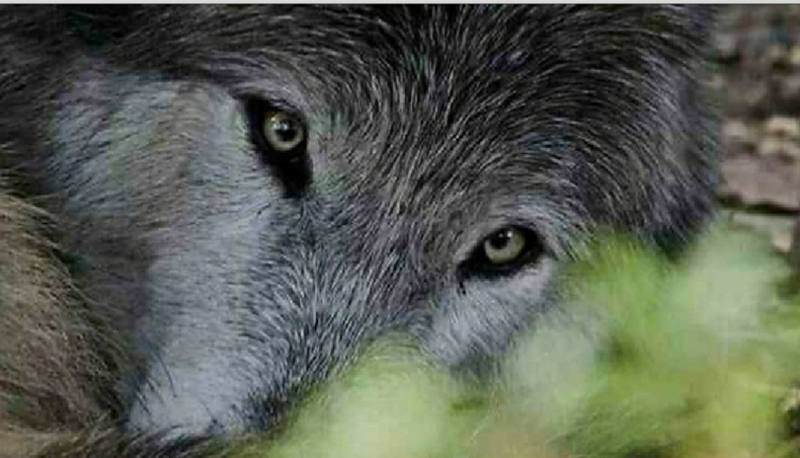 Wolves are an important part of our ecosystem! Please stop killing these beautiful animals. They are needed in this world. They play an important roll in the ecosystem and you need to stop the killing.